Google Books won a complete victory in federal court yesterday with a ruling that its digitization of more than 20 million books — and counting — is a fair use under the United States copyright laws. 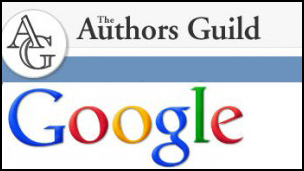 At that point, Judge Chin went on to decide that the Authors Guild and several individual authors could proceed with the case as a class action.10 That meant that the Authors Guild was allowed to act on behalf of every author affected by Google’s digitization, whether the author wanted to sue Google or not. And that’s what Google won yesterday — and it won everything it could have won. Google’s use of the copyrighted works is highly transformative. Google Books digitizes books and transforms expressive text into a comprehensive word index that helps readers, scholars, researchers, and others find books. Google Books has become an important tool for libraries and librarians and cite-checkers as it helps to identify and find books. The use of book text to facilitate search through the display of snippets is transformative. … The display of snippets of text for search is similar to the display of thumbnail images of photographs for search or small images of concert posters for reference to past events, as the snippets help users locate books and determine whether they may be of interest. Google Books thus uses words for a different purpose — it uses snippets of text to act as pointers directing users to a broad selection of books. The case isn’t over yet, of course. The Author’s Guild will certainly appeal, and has already said it intends to do so.13 However, this is now the second decision that’s gone against the Authors Guild14 and the chances of reversal aren’t all that high. So… what does this mean for us, as genealogists? First, it means we keep the access we now have to search out and find new sources from digitized works — even copyright-protected works — online. In many respects, it makes it far simpler for us to locate derivative works relating to our families. I can think of a half dozen books I’ve bought in the last year simply because I could find snippets on Google Books that demonstrated the overall value of the books for work I was doing. It may be that this problem is an inevitable side effect of the digital age, and that — like newspapers and magazines and a host of other publishers — genealogical book publishers will have to find a way to adapt or perish. And that is, at least, a troubling and unsettling thing. Speciality publishing may already need to change. Why not follow what some musicians and artists are already doing and publish electronically? As a writer of family books on a couple of lines, I have two major problems: keeping costs down and finding distant cousins who would like to read them. Thus far I have avoided too many colour plates and only run off enough copies for close family. But I will need to change. Apart from needing to learn new skills, I can see some difficulties. Some creators of images allow them to be used gratis for tiny family runs, but charge heavily for electronic media. How do people and libraries store such media for the longer term? At least there is the possibility that, once created, Google might help with making the work known! Specialty publishers are already making their work available online, Christopher, but the difficulties you mention — plus the expectation that electronic publishing should be so much cheaper — are real roadblocks. The specifics disturb me. Let’s see — one page in ten won’t be shown, one-eight of each other page won’t be shown. That means 7/8 of 90% of the book, or 78.75%, can be shown online. That goes far beyond my concept of fair use! I’m not sure about the distinction between “transformative” and “derivative,” either. Derivative works are solely the province of the copyright holder, but I’m not sure (and haven’t looked up) exactly what a transformative work is in the first place and how it’s different within the context of copyright laws. I think it’s time to revisit the copyright laws in their entirety. Lifetime of the author plus 70 (or 100) years is NOT limited duration in my mind, and I also think out-of-print books should be fair game (the laws are not meant to protect collectors, the only ones who benefit by gaining from out-of-print materials — publishers, of course, benefit by removing expenses, which is different). The “one single fact is the value of the book” applies to other types of books, like cookbooks, that are already excluded from snippet view. So if the genealogy publishers are not already excluded there, they could probably work with Google on that. I really did not see this decision coming. If it stands on appeal it could have huge implications for other types of information retrieval research in the USA like music, art, television, and movies. I wonder how far the Authors Guild will appeal if they keep losing; will they stop short of the Supreme Court to avoid a national precedent? Perhaps influenced by groups like the RIAA and MPAA? We’ll just have to watch and find out, I expect!